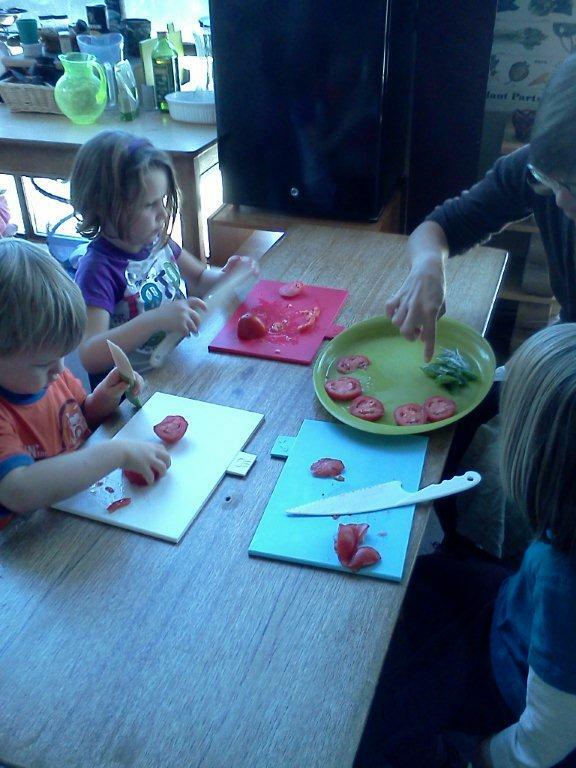 Word is, a couple of the Daily Soups lately have been both simple and a hit with the little ones. How lucky they are to be able to do this with each other. Here, they simply sliced tomatoes, and topped them with basil leaves and grated parmesan. And here they made pesto with only the basic ingredients. 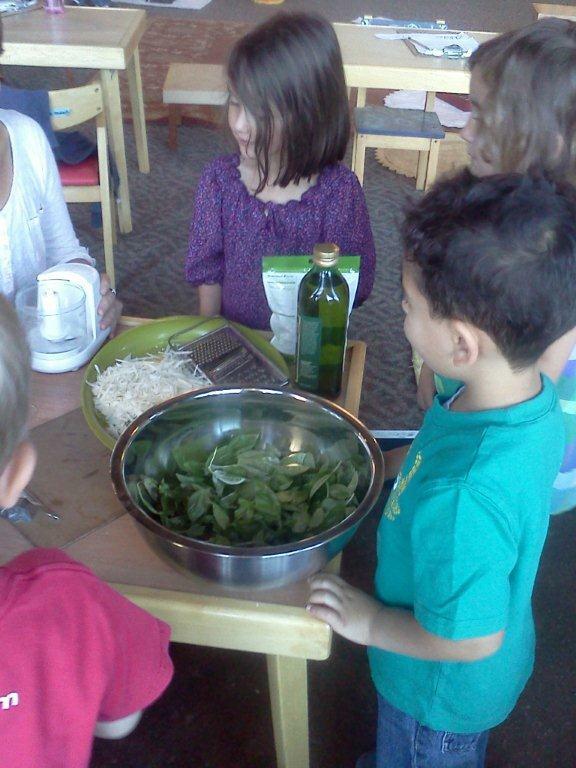 They harvested basil from the garden at school, and blended it with olive oil, sunflower seeds and parmesan. Pretty soon, the farm share will be over for the year, and Daily Soup will be completely dependent on weekly small donations of food and staples from families. We will be sending out reminders, so we can be sure to keep this wonderful program alive. Thanks everyone!